On this page you can read our policies and details about using some of our services. 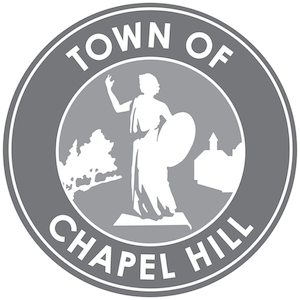 Chapel Hill Public Library provides free and open access to the Internet and does not use any filtering software. We also provide free WiFi on an open, unsecured network. We are not responsible for any content accessed via our computers or WiFi. Do not use library computers or WiFi for any illegal activity. Computer and WiFi users must abide by our expectations of behavior. We expect users to respect the comfort and safety of fellow library users and library staff. If your behavior is making others unsafe or uncomfortable, we’ll ask you to stop. We expect users to comply with requests from library staff. If you don’t, we reserve the right to suspend privileges and/or access. We expect users to comply with local, state, and federal laws. If you break the law, we may prosecute. If you feel that something or someone is making your experience here uncomfortable or unsafe, please let a staff member know. For their safety, children 9 years of age and younger must remain in the company of a parent or caretaker while in the library. Those same kids are welcome to attend programs alone, but their parent/caretaker must remain in the library in case of emergency. Children 9 and under who are unattended will be monitored by a staff member until a parent/caretaker is located. If we can not locate a parent/caretaker, staff will contact the police. If another user has placed a hold on an item that you have checked out, you will not be able to renew. If you ever accumulate more than $25 in fines, you won’t be able to check out any more physical materials until you talk with us. Please understand that you are our top priority, and we want to work with you to find ways for you to keep using the library. A grace period is in effect for three days after the due date for all items except Digital Media Lab equipment or Book Kits. For items returned on the fourth day past the due date, fines will start from the original due date. We abide by state laws governing library privacy. We provide access to numerous online resources. When you use those resources, you are subject to their terms and privacy policies. The Library complies with North Carolina General Statutes, which include an Article on library user records. To ensure that we have up-to-date contact information for our users, cards expire after three years. To renew a card, please stop by the library and show staff a document that has your name and address. That’s it! You’ll be good to go for another three years. You can also call us at 919.968.2777 if you need assistance immediately. We are working on improving the process to make it more convenient and thank you for your patience. We welcome financial donations in any amount, as well as gently used books, CDs and DVDs that are both clean and in good condition. No magazines, journals, or encyclopedias please. Call 919.968.2777 if you’re not sure. Donated books and audio are welcome Monday through Friday from 9:00 am to 4:00 pm at the delivery area on the library’s lower level. To get there, head up Library Drive, turn into the staff parking lot and you will see a sign for deliveries and donations. You can leave the donation and get a receipt for tax purposes there. To make a financial contribution, please contact us at (919) 969-2032. Staff will add donated items to the collection or turn them over to the Friends of Chapel Hill Public Library. The Friends sell donated items at the Friends Book Store on the lower level, as well as at their large community book sales three times a year. Proceeds from these sales come back to the library annually and support special programs, popular materials, the Summer Challenge, and many other services. Laser printing costs $.15 per page for black and white and $.50 for color copies. We sure do. It’s on the lower level near the computers. You can save the images to memory sticks, send them through email, or print them. It’s free to use. A professional scanner is also available in our Digital Media Lab. A core function of Chapel Hill Public Library is to collect, curate, and make accessible library materials in a wide variety of formats that respond to community interests and demographics. The library’s goal is to maintain a popular, up-to-date collection attuned to the diverse needs of Chapel Hill residents. Collection formats, subject matter, and target audiences will be reflective of community demand. If you want us to consider an item that’s not in our collection, please feel free to send us a suggestion. The library Director has ultimate authority for the collections. That responsibility is shared with our staff of professional librarians. We fully subscribe to the principles adopted by the American Library Association in its Library Bill of Rights and interpretive statements. In short, we welcome all points of view. When we receive a monetary donation for the purchase of materials, we are extremely thankful. We follow all of the guidelines on this page as we choose how to best invest those funds. We also accept donated materials for consideration as additions to the collection, including works by local authors. We reserve the right to use or not use any donation as we see fit. Once we accept a donation, it becomes the property of Chapel Hill Public Library. Due to the high volume of donations, we do not return donations or track their status in the consideration process. The library may choose not to add materials to the collection that do not meet its evaluation criteria. We buy every new book published by the authors listed below. Their new books appear in our catalog about 2 – 3 months before they’re released. You can place holds on them and we will notify you when they arrive. Room reservations work on a first come, first served basis. However, priority goes to library-sponsored programs, Town Council meetings, groups affiliated with the library (Board of Trustees, Friends, and Foundation) and Town boards, committees, commissions and task forces. These priority groups are not subject to the reservation guidelines or the fee schedule listed elsewhere on this page. The Town reserves the right, under extraordinary circumstances, to pre-empt or cancel reservations, meetings, or events. If this happens, we will give as much notice as possible and will help you look for another meeting site. Community Groups and Non-Profit Groups holding meetings that are free and open to the public do not pay for using the rooms. Political Parties holding annual or biennial precinct meetings and county and district conventions do not pay for using the rooms. However, fees will apply for after-hours use, certain before-hours use, kitchen use, and on-site staff use by these groups. With the exception of Political Parties holding annual or biennial precinct meetings and county and district conventions, Community Groups and Non-Profit Groups wishing to hold private meetings do pay according to the Town’s fee schedule below. Private Groups and individuals holding any meeting do pay according to the fee schedule below. We’re glad to show you how to use equipment in the room. Please ask for that help in advance so we can have staff there. Staff is not available to operate meeting room equipment or teach users without prior arrangements made at time of reservation. Library staff support is subject to the “on-site staff” fee. The Digital Media Lab (DML) is a shared work space that provides access to the tools of the DML. It is not a private room and is not intended as a meeting space. Reservations are not required to use a work station, but we strongly encourage them. Reservations may be made up to 90 days in advance. Work stations may be reserved online here. If you want help using our technology or learning a process, contact us at medialab@townofchapelhill.org or 919-969-2054. If you are looking for work space options in the library, we offer Work Rooms, Meeting Rooms and a shared Conversation and Co-working space. Photos and videos taken at Chapel Hill Public Library events and programs are often shared with the community in a variety of forms. Videos are archived on our YouTube channel. Photos are added to our, Facebook, Twitter, or Flickr accounts, and on rare occasions to our website. You are our top priority at CHPL, so if you are uncomfortable with having a picture that features you online and would like it to be removed from our website or social media accounts, please let us know. It will help if you can give us a link to the web page where the photo in question is displayed. We also appreciate it when people share their own pictures with us. Do you have a great shot of something that happened in or around the library? Please send it to us! We currently offer kids T-shirts, adult T-shirts, and water bottles. We may offer more items in the future, with prices based on our fee schedule. For more information about what we sell, including sizes and prices, please visit this page. Due to health and safety concerns, the library does not offer refunds or exchanges on merchandise.